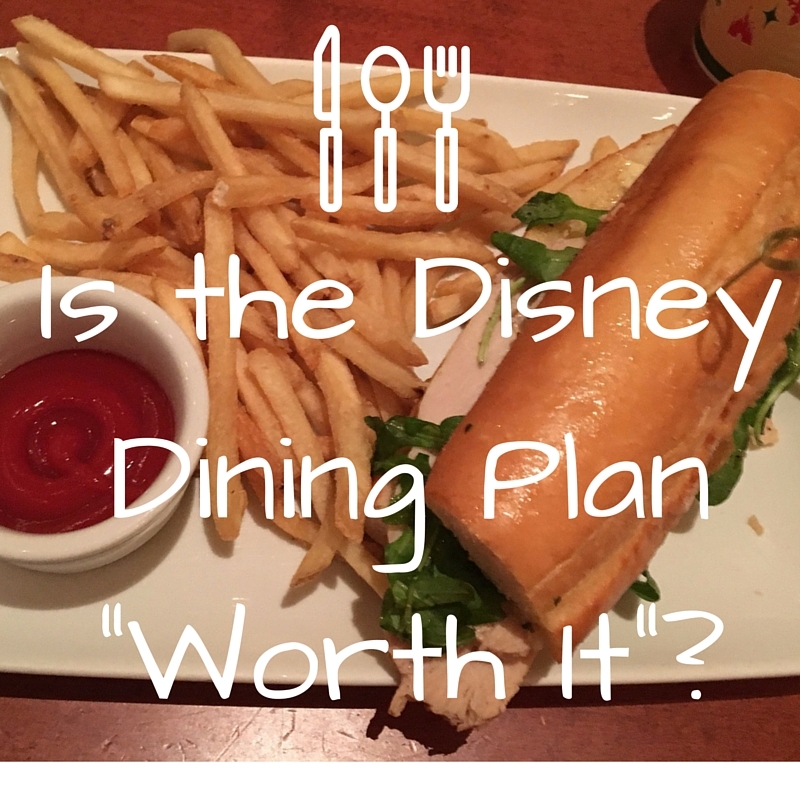 Is the Disney Dining Plan “Worth it”? It’s a question we hear a lot. 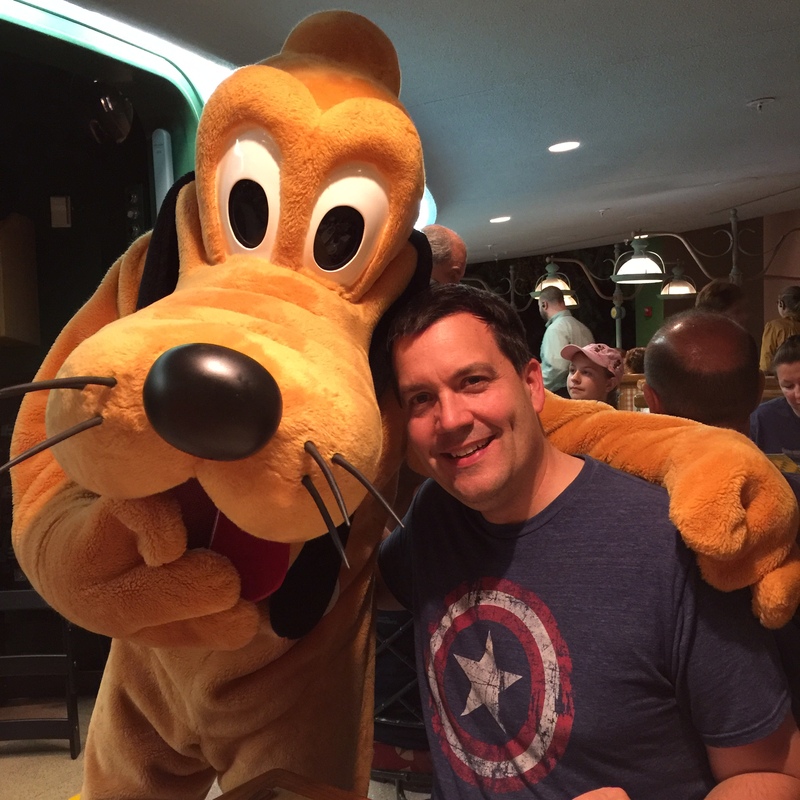 Is the Disney dining plan worth it? Unfortunately this question does not have an easy answer! It depends. For most families the convenience of paying for your meals ahead of time is absolutely worth it. Budgeting for such a variable can be difficult but when “pre-paying” with the meal plan that’s one less thing you need to worry about. I was curious about cost though, so during my last trip I kept track of one of our day’s dining and decided to do a comparison. 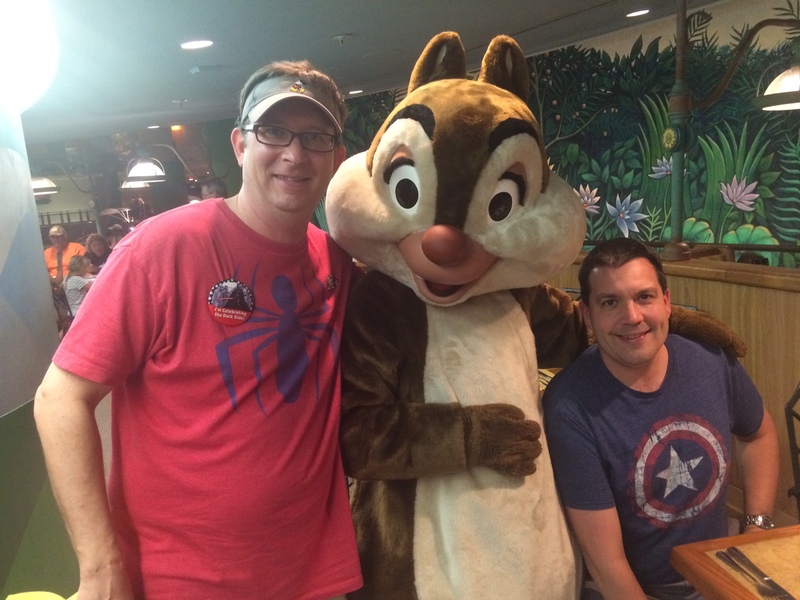 Total cost: $73.04 or $60.64 per night per adult on the Disney Dining Plan. So in this case, we absolutely made out using the Disney Dining Plan! 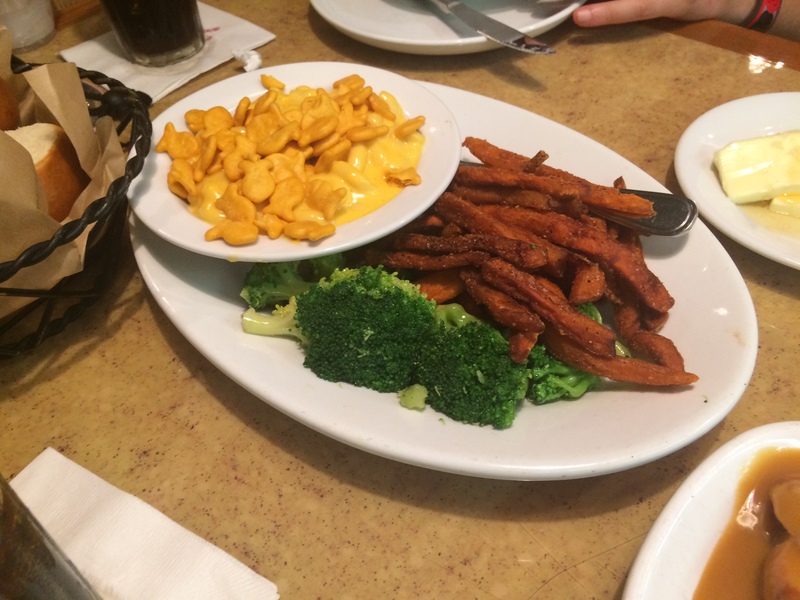 As always your family’s own eating habits will decide if the dining plan is right for you, but you can see that for some, it is a great choice! 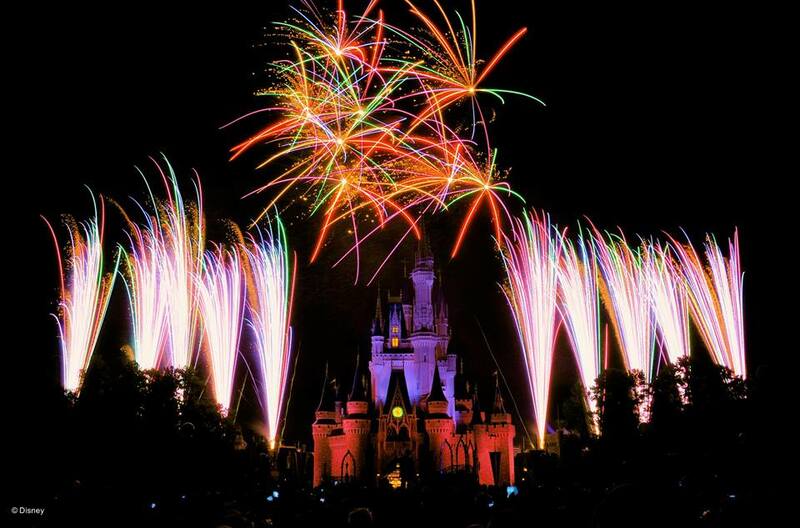 Want to Save Some Money on Your Spring Disney Trip? The new promotion for Spring is here! It is a great one and lots of people are saving some dollars. 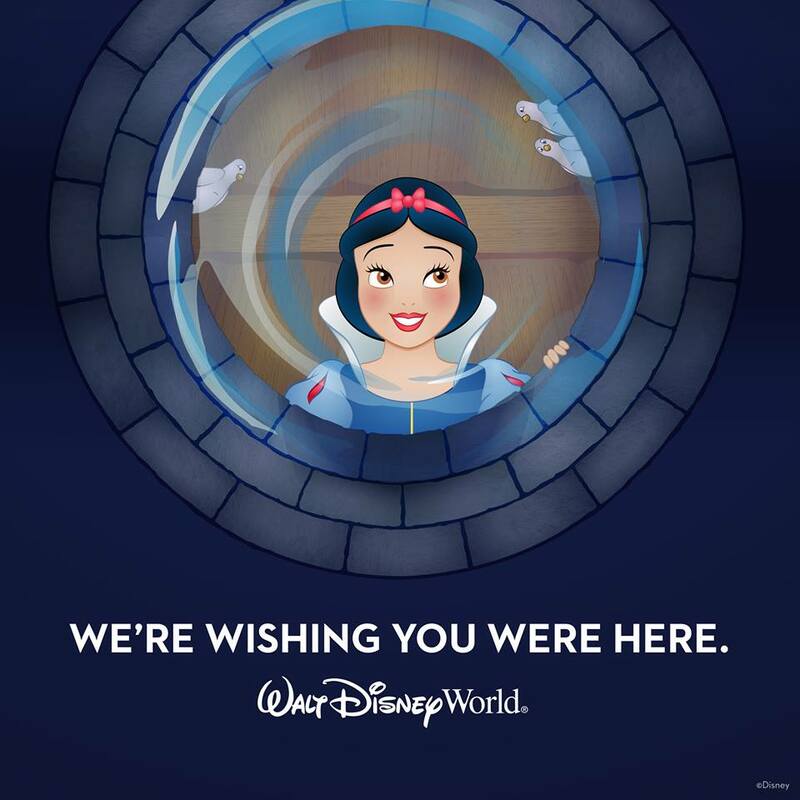 You can save up to 25%* on rooms at select Walt Disney World® Resort hotels for stays most nights April 14-June 11, 2016. If you want a last-minute trip there are still some great deals out there from now until April 14th – so just ask! For an example, a family of four (2 adults, 2 children under age 9) can get a 5 night stay at a Disney Value resort with 5 day base tickets for $2088.32! That includes a room discount and your 5th park day for free! You can’t beat this offer so let’s get started on those spring break plans. How much fun would you have letting your favorite Dole Whipped lady plan your next Disney trip for you? We all know who the favorite is so no need to SHOUT it! Our concierge services are free and we can help plan your dining, fastpasses, resort choices and so much more! For more information email dolewhipped@gmail.com or click on the “Free Vacation Planning” tab above. We love helping and we are so appreciative of you letting us help you plan. Happy New Year! We were lucky enough to snag a reservation for this lunch. We arrived just a few minutes before our reservation to check in at the stand before the bridge. We went right in and waited in a short line before we went in to place our orders on the kiosk. 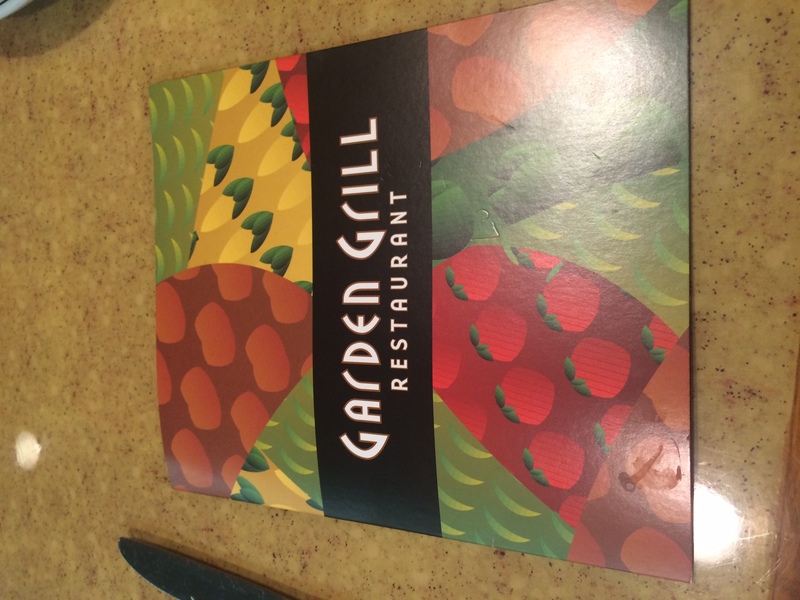 Since we were given menus before we got to the kiosk we have plenty of time to consider our options. After our orders were placed we were given our rose and made a stop to get drinks and silverware. With those settled we opted to have lunch in the main room, the ball room. While we waited, we took turns checking out the other rooms. I ordered the Quinoa Salad, my husband had the Roast Beef Sandwich, my Mother-in-law got the Braised Pork and my daughter ordered Chip’s Delight (tomato soup and grilled cheese). Chip’s Delight was hit and miss with my daughter, she loved the grilled cheese fingers and cookie. The tomato soup she didn’t care for but I tried it and it was delicious. It does taste like fresh tomatoes rather than Campbell’s Soup if that is what your children are used to. The Quinoa Salad I had was very tasty and I enjoyed it because it was fresh and light. If you are wanting something that isn’t heavy this is a great choice. The Roast Beef Sandwich that my husband ordered was hearty and filling. It is a good sized sandwich that came with fries on the side. It was another great option if you are looking to fill up. The favorite of the group was the Braised Pork. This came with mashed potatoes and vegetables and was so delicious. I would definitely choose this entrée the next time I was there if I were looking for a very filling meal. The atmosphere of the restaurant is amazing. It is straight out of the movie and if you have a Beauty and the Beast fan, they will love it! Bottom line, we would eat there again in a heartbeat! If you’ve listened to our podcast, you’ll know that I’ve talked extensively about how much we loved Mickey’s Very Merry Christmas Party, but I can’t quit talking about it so here we are. If you’re not familiar, Magic Kingdom in Florida hosts this hard ticket event on certain nights during November and December. There are special fireworks, parades, and even lots of goodies included in the price of admission. First things first, this is huge. Are there still a lot of people there? Yes, but the party is a hard ticket event and only so many tickets are sold so you’re guaranteed to have fewer people in the park and that really helps. The park felt so much more open and spacious without the mass of bodies you typically encounter on a normal park day. This parade was amazing! The floats are really well done and the characters are all in their holiday best. They include some of the lesser known characters like Wreck It Ralph which we loved. My youngest daughter is 4 and she just loved the parade. Watching her during it was definitely worth the price of admission. They run the parade twice during the party so if you miss the early show, be sure to get a spot for the later one. Another fun part of the party is the cocoa and cookies they provide as party of admission. There are several locations set up throughout the park and you can walk up and get some treats. We happened to get ours at Tomorrowland Terrace and there was no line. The cocoa and cookies were both delicious. They also had cold apple juice because this is Florida and it’s not always cold enough for cocoa! One of the best parts about the Christmas party (and this goes hand in hand with the low crowds) is that no FastPasses are offered during the party because you don’t need them! We walked on almost every single ride we wanted because there really weren’t any lines. The only attraction we wanted to do and decided not to wait for was Seven Dwarfs Mine Train and that wait was only 30 minutes, which is practically nothing. At the end of the day, my favorite part of the Christmas party was the special time I got to spend with my family. I don’t know if there was extra magic in the air or what but we just had the best time. No one fought, no one complained, everyone was cheerful, the weather was great. I would absolutely recommend this party to anyone looking for a special experience at Disney. Disney at Christmas is already amazing so this is just the shining star on top. This week we discuss all the major happenings and updates at Walt Disney World as well as Disney movies that were released in 2015. We talk about what our favorites were and what we’re looking forward to in the new year! Happy holidays and happy listening! One of the most common questions we have is “Is there laundry at my resort?” Well, the answer is YES! If you should do your laundry on vacation is another question entirely 😉 BUT if you so choose, you are able to at all Walt Disney World resorts. At most Disney resorts the laundry facilities are located close to the pool. In my opinion this is great placement! You can put your laundry in the wash, pop into the pool for a swim, move the clothes to the dryer, swim some more, then collect your clean and dry clothes and head back to your room. Genius. The laundry rooms have detergent and fabric softener sheets available for purchase. I personally bring some Tide pods from home, but it’s great to have this option if you choose to use it or if you end up having to do laundry unexpectedly. All payment is handled through a credit card machine on the wall (no cash). You’ll enter the number of the washer or dryer you choose into the machine, which will activate the washer or dryer for your use. The machines conveniently give you the amount of minutes remaining in a cycle so you know when to return to switch your load or collect your dry clothes. All in all I don’t advocate for doing laundry on vacation, but IF you have to Disney of course makes it as quick and painless as possible. Hi there fans of Club Level at Disney! Whether you have stayed Club Level or just dream of it I am here to give you all the material to make your dreams even better! 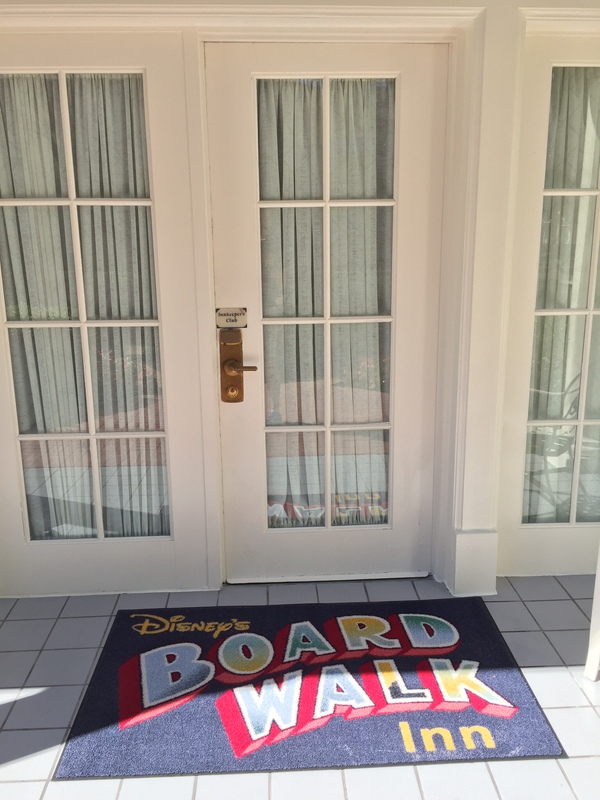 So let’s march on to the next stop on the Club Level tour and it is the Boardwalk Inn. 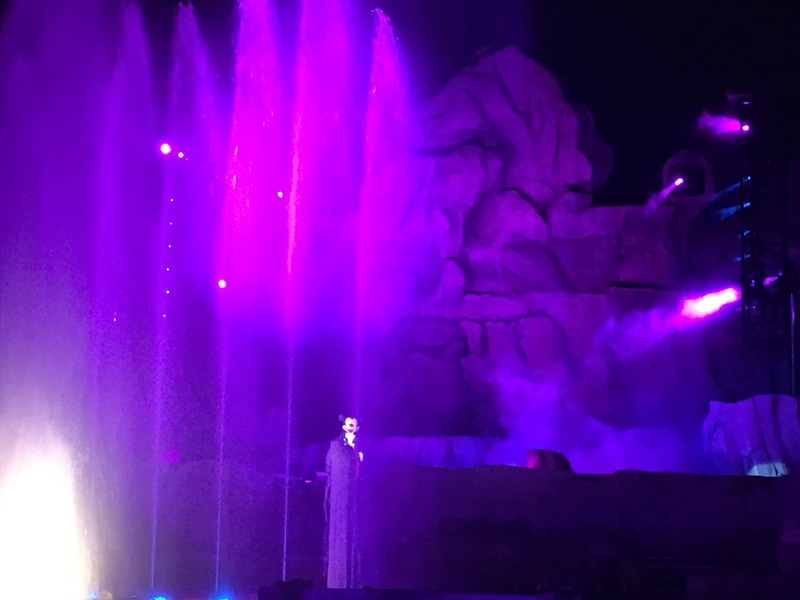 Now this article is extra special because I just stayed Club Level at Boardwalk a few weeks ago and so this is not only info but a bit of a review as well. I was lucky (seriously lucky) to get to stay for a few nights in a garden cottage at Boardwalk. The garden cottages are not very well-known, even to Disney veterans, and are quite unique. I will be writing a review of the garden cottages soon but for this article it is mentioned because the garden cottages are all club level (in addition to the normal set of club level rooms and suites). 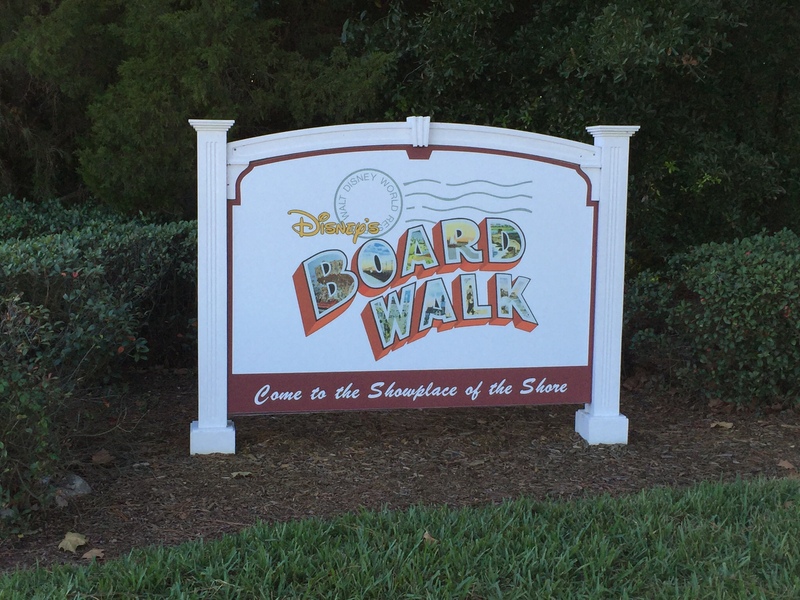 When we arrived at the Boardwalk and had given our name at security we drove up to valet and were immediately greeted and whisked away. Our greeter asked us if we would like to go first to our cottage to put our bags down (though our luggage was being transferred from Animal Kingdom we had our “carry ons” with us). We did want to go to the cottage first and so he took us there. He waited outside while we went in and embarrassed ourselves by squealing with delight at the amazing accommodations. After that, we went to the private club level check-in desk that was right outside the private club level hallway (magic band set to club level access needed to gain entrance).The cast member was already checking someone in so instead of waiting we were given access to the club lounge (the Innkeepers Club) where the attendant sat us down and grabbed us a drink and checked us in. I also want to mention we were thrilled our cottage was ready for us considering it was early around 10 am. After that we munched on some snacks and grabbed some soda for the road and headed out. The Boardwalk Inn club level rooms also were a bit special with the extra robes and amenities but two special things happened here and we are still not sure if this was because of our club level access or the garden cottages but anyway we received a cute set of Boardwalk logo’ed chocolates and a fairly large bag of H20 products was left in our room from mousekeeping! I do not know which I loved more! While staying club level we also received nightly turn down service and little treats (chocolates and taffy) left in our room. 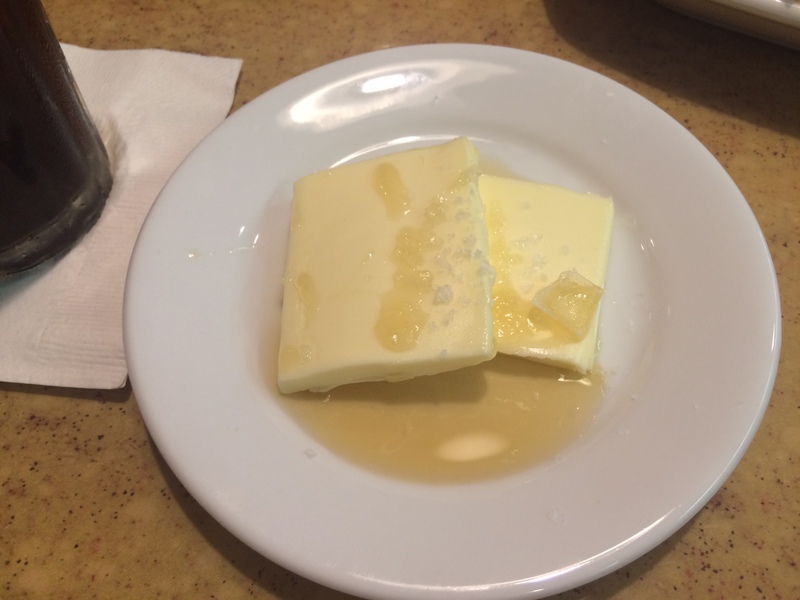 Taffy is a bit of a signature specialty of the Boardwalk Resort as it ties it into its Atlantic City roots. The club level lounge did not disappoint based off location and food. 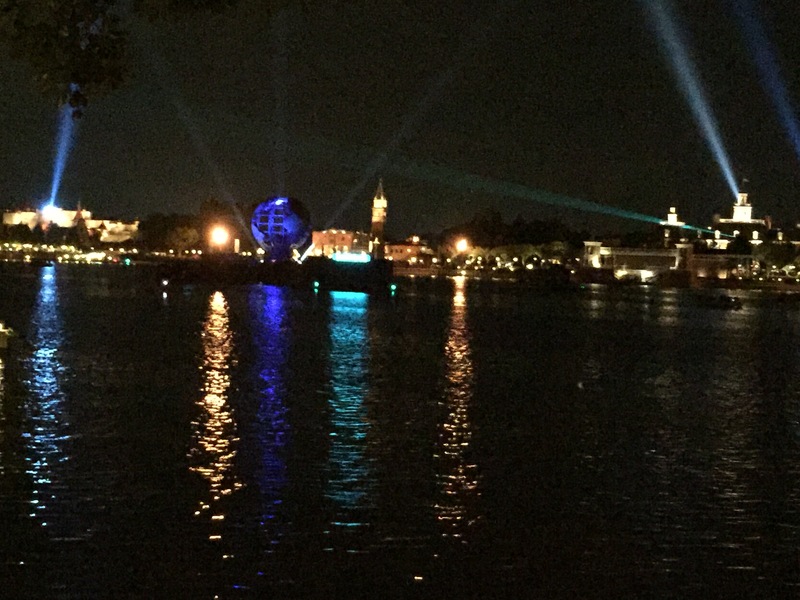 It had a nice balcony that you could watch the Epcot fireworks from or sit outside and read a book. The food was amazing and some of my personal favorites included peanut butter and jelly sushi rolls and the cucumber sandwiches. There were many “fancier” apps going on but sometimes the simple things are what you keep going back for time and time again. They had wine and beer for evening and late evening they broke out the desserts and cognac for adult fun. 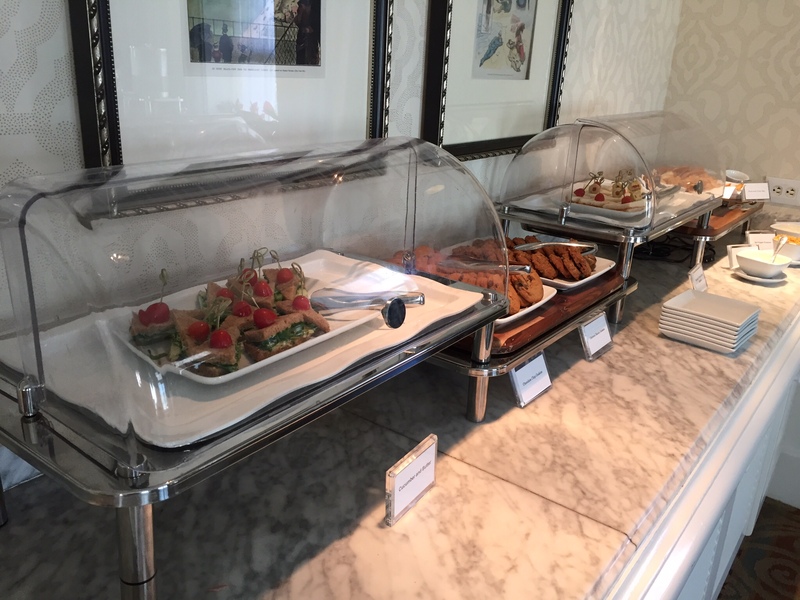 I know many think you can not make a meal out of the food in the club lounges but we ate dinner there twice and breakfast there once and we were full all of these meals. The portions are small and finger food sized but you can have as much as you want so no one limited me on my peanut butter and jelly sushi rolls so I may have had a few! 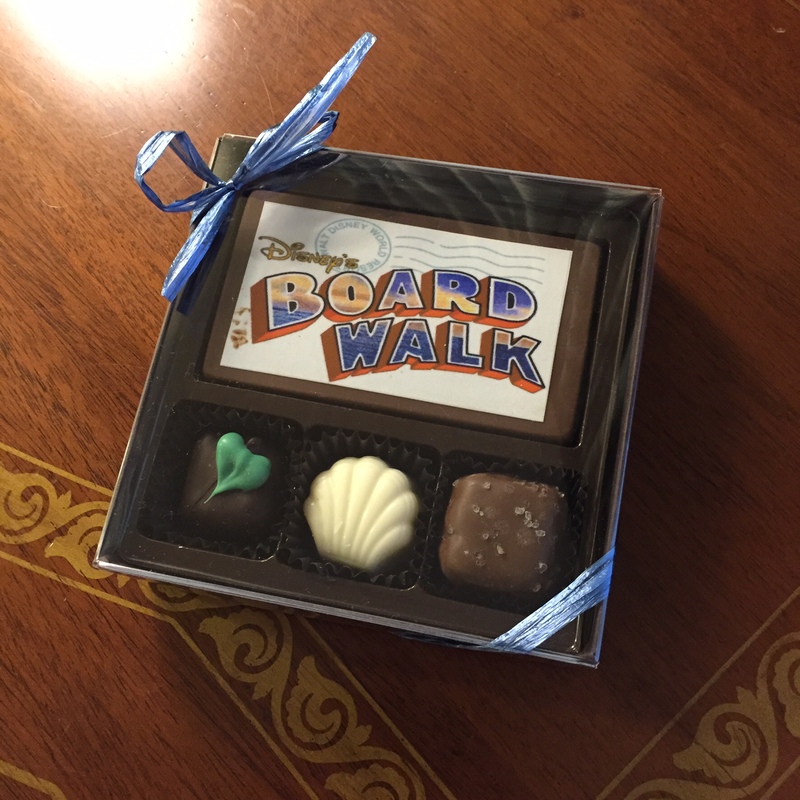 Definitely try out Boardwalk (in general) as one of my top 3 resorts and a great location. If you can swing it treat yourself to club level and you will not regret it! Have you ever wondered how best to show your Disney side during the holidays? We’ve got you covered! We discuss some of the best ways to include Disney in your holiday decor, baking, and gift giving.